It seems to me that the periodic table is almost the perfect example of human ingenuity in Chemistry. What is amazing is that 150 years since the periodic table was first proposed by Mendeleev in 1869 there is still not the Periodic Table. If you search in books and on the Internet you will find that there are many different periodic tables. These range from short to long forms, some with eight groups and others with eighteen groups. Periodic tables also appear in spiral (see right) and three-dimensional forms. Some have hydrogen appearing not once but twice, and its position can vary from being on its own or at the top of Group 1 or at the top of Group 7. In Costa Rican they use a periodic table in their schools (see below) which is very different to the ones that are usually accepted internationally. The periodic table used in schools in Costa Rica. Artists and others have also run with the idea of the periodic table and now you can find 'spoof' periodic tables of almost anything ranging from Atheists and antitheists to Rock and Roll, typefaces and others that are too rude to mention. Make sure that throughout the course you use the version of the periodic table that is published as Section 6 the IB data booklet - this is the one that will be found inside the front cover of Paper 1 (Multiple Choice questions) when you come to take the exam. One of the strange aspects of Topic 3 is that it is called ‘Periodicity’ and yet nowhere in the assessment statements are you required to understand or define the word periodicity! Since it is crucial to understanding the topic it is worth understanding that periodicity means that when arranged according to their atomic numbers there is a repeating pattern in the chemical and physical properties of the elements. Perhaps the best example to illustrate this is the graph of first ionization energies where the distinctive repeating pattern due to the successive filling of the three p orbitals in each energy level (e.g. B - Ne, Al - Ar, Ga - Kr, and In - Xe) can be seen clearly. There are many interactive web resources that illustrate the chemistry contained in this topic. For example, the website produced by Brian Adams for touchspin. This is a really good Interactive periodic table . By moving your cursor over any element it provides a whole host of data about the element and also provides more links to even more information about each element. 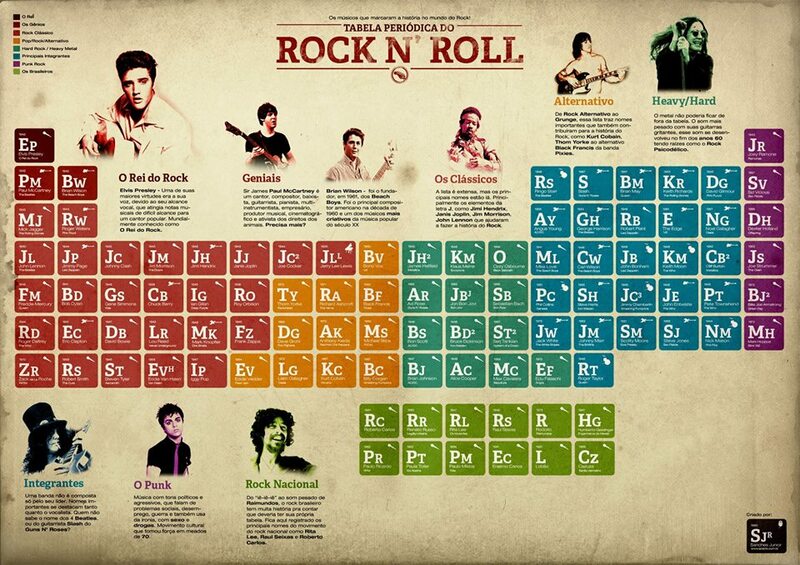 Other interactive periodic table include WebElements and Dynamic periodic table. Perhaps one of the best resources is the series of videos on each element (and more besides) produced by the University of Nottingham in their series The periodic table of videos. For some fun 'applications' of the Periodic Table it is worth looking at Not an exact science show. The following image is taken from there.